This beautiful blanket is accessorized by a pink outline of a hand signing ILY or I Love You on one corner. The outline measures 3 ¾ high X 3 ½ wide. The blanket itself measures a generous 36 X 36 and is trimmed with luxurious 1 ¾ fringe. Big enough to wrap up baby and show your enthusiasm for sign language. 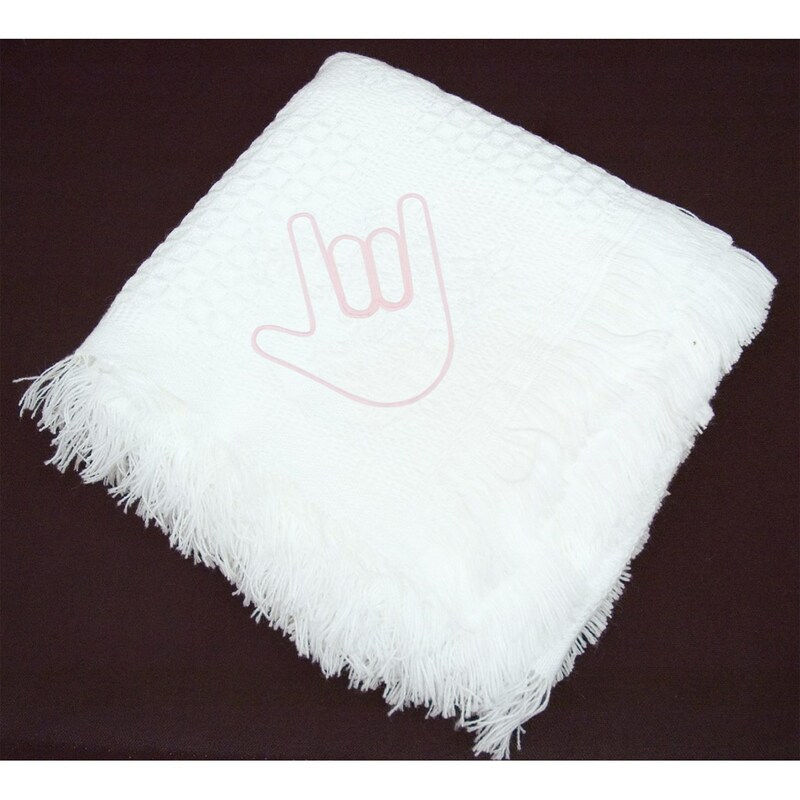 Blanket is machine washable and dryable.